In recent weeks, a series of revelations about the Trump-Russia investigation of Special Counsel Robert Mueller have brought in links between Donald Trump’s inner circle and countries such as Saudi Arabia and the United Arab Emirates. High on the agenda of the two men — George Nader, a political advisor to the de facto ruler of the UAE, and Elliott Broidy, the deputy finance chairman of the Republican National Committee — was pushing the White House to remove Secretary of State Rex Tillerson, backing confrontational approaches to Iran and Qatar and repeatedly pressing the president to meet privately outside the White House with the leader of the UAE. Mr. Tillerson was fired last week, and the president has adopted tough approaches toward both Iran and Qatar. 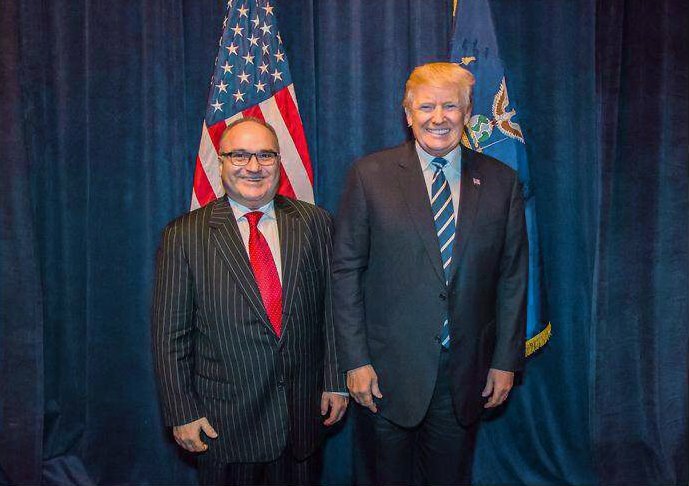 Mr. Nader’s cultivation of Mr. Broidy, laid out in documents provided to The New York Times, provides a case study in the way two Persian Gulf monarchies have sought to gain influence inside the Trump White House. Mr. Nader has been granted immunity in a deal for his cooperation with the special counsel, Robert Mueller, according to people familiar with the matter, and his relationship with Mr. Broidy may also offer clues to the direction of that inquiry. The two became fast friends, and by February, they were exchanging emails about potential contracts for Circinus with both the UAE and Saudi Arabia, and also about Saudi and Emirati objectives in Washington, such as persuading the United States government to take action against the Muslim Brotherhood or put pressure on its regional ally, Qatar. In one message to Mr. Nader in March 2017, Mr. Broidy referred to Secure America Now, an advocacy organization that he suggested had campaigned against Ms. Patterson, as “one of the groups I am working with”. The two people close to Mr. Broidy said he had not raised money for the group or campaigned against Ms. Patterson.